#bookreview I have no idea why I am unable to see clearly what the Friday posting each week might be! Today it seemed very easy to find out the answer to my just wondering… moment. There’s always plenty to read again or to find I somehow missed at the time. (The sidebar links are accessible and easy to use!) Many of earlier readings. Refreshing. I’m going now, a Bank Holiday Weekend here in the UK for us monotheists and polytheists, heathens and April Fools so now I’ve completed a short stint of my own tag/cat tidying & to-do time, read a little I’m outa here to enjoy… whatever next. (Coffee! My insomnia phases seemed linked to no or little coffee. i’m not an addict, i just can’t live without … coffee! – although dandelions substitute nicely but I ran out long, long, ago. And of course it is now a time of special significance for so many if not all. Sincerely Wishing a very Happy Easter Time to you and yours. Last April, while preparing for my exams, I also read Karnali Blues (though the name is English, the book is written in Nepali language) by Buddhisagar. The story is heavily based on the writer’s own experiences but he does not make the storytelling boring by adding long description. Within short and sweet sentences, he has been able to express a lot. The only drawback is that the writer does not explain to readers, the dialogues in Tharu and Khas language. Except that, the content of the book, especially the epilogue touched my heart. Karnali Blues is a story about the experiences of a middle class family. The narrator remembers his childhood in Kailali and Kalikot as his father lies paralyzed in a hospital at Nepalgunj. Karnali Blues is a story of growing up. The narrator is notorious as a child. He swims in the Amauri Khola (a distributary of the Karnali river), beats up people, steals things, sets his house on fire and asks for things which his father’s earnings can not sustain. But his father never complains. He provides the narrator everything he asks for. The narrator believes that his father is the best in the world. But while his father lies on the deathbed, the narrator realizes that his father was the one who has suffered a lot. From leaving his family share in Surkhet to selling his pharmacy to Kalikot (more remote place), the narrator’s father has suffered a lot. And the narrator, too had been one of the causes of suffering. He had never obeyed what his father told. While he could have studied in Surkhet, he goes Kathmandu for higher studies following the whims of his friends. He has no job and is dependent on his parents despite their low income. By the end of the story, the narrator gains maturity in his thoughts. Karnali Blues is about change. An excavator changes the village in which narrator lived most of his childhood. A bridge at Chisapani changes the fate of a town where his father ran a pharmacy. A change in mind takes the narrator to Kalikot instead of Surkhet. And his death changes the lives of his wife and son forever. Karnali Blues is a story of life and death. An old Tharu lives on the bank of Amauri Khola because he has no children. A polio-struck child (friend of the narrator) leaves home in search of his brother because his father beats him up. The narrator’s family migrate to different places in search of better living. The narrator witnesses deaths of several people. A girl, who is a friend of narrator’s sister, dies of meningitis because her parents do not allow medication. “They buried her alive,” a villager says. A man named Hasan drowns. A porter from Kalikot, who takes the narrator there is killed by the soldiers calling him a Maoist. An old man dies in a hospital by coughing. And in the end, the narrator’s father dies. In short, Karnali Blues is an apt description of the lives of poor people living in the rural area. P.S. : You can read some English translations in the book’s Facebook page. I read it, because I loved it. This is the seventh book in Heroes for Hire series and I must tell you though I haven’t read all the previous books in the series (except the first one ) I really enjoyed reading it. Catherine Miller after spending four years in prison, for a crime she didn’t commit returned to her grandmother’s place in Pine Bluff only to suffer vandalism. The severity of which increased when one afternoon when someone with a ski mask attempted to choke her to death. She saved herself and ran to their neighbour’s place. This marked the entry of the male protagonist Darius Osborne, an ex navy seal who wanted to spend his vacation repairing the old farm he bought next to Catherine’s place. Though he had seen Catherine a lot of times in TV, courtesy to media, she looked frailer in reality. The story then moves forward introducing Logan, the local sheriff and Eileen, Catherine’s grandmother, who is suffering from Cancer. 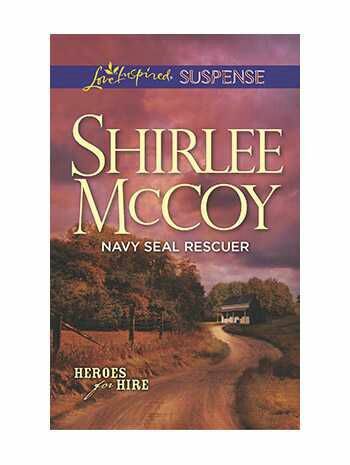 Shirlee maintained a great air of suspense and thrill unti the end, when the real convict was arrested. Yet the story couldn’t receive five stars probably because Eileen’s cancer covers almost half of the story where as Catherine and Darius ‘s backstory has been expanded very little. Again Catherine’s character is inspirational she hasn’t been shown as damsel in distress. She may be thin and frail, yet she doesn’t give up, she can fight her own. The personality of a navy seal has been well expressed through Darius, an amputee. Both of them know pain to a certain level. “That’s the problem. If you were, it would be easy to deny you, but you never ask anything. You’re just… there, and I need you to be that scares me “. One of my favorite conversation between the lead protagonists. A silent romance growing betwixt them. All in all I would rate the book as 4 stars. I’m an emotional fool. I cry while watching TV or Movies or while reading a good book. Also, most of my life’s learning have been through books. Real-life experiences too, of course, but more from books. I might have dismissed this wonderful book that my mother practically begged me to read. She saId that I’d love it and I did. My two sisters also could not put it down. We all found it familiar because it’s about a woman who must decide what to do with her beloved family homestead when her parents can no longer look after it. It’s a grand old house on the shores of Oakville, Ontario, Canada, a small city , where both my mother and sister, each lived, several decades apart. The local references were of great delight to us but this memoir would appeal to anyone. It begins after the protagonist, Plum, moves home to care for her aging mother. She and her siblings have differing opinions of how things should be handled. I’m sure anyone who has family can appreciate and find humour in these family squabbles. The story takes us back to when her parents first met and the decades that follow while they raise their growing family. Plum has many memories to relive and the reader feels connected while following along in this huge estate. It’s a true family saga, rich in drama and laughter. There’s heartbreak and joy throughout this lovely book. I didn’t want it end. I needed to force money from Father Joseph, and it made me nervous. The book opens with the above appalling line which is just peek into the realistic world of Akhil Sharma’s book. An Obedient Father is a debut novel of author Akhil Sharma. Akhil is an Indian American who moved United state at the age of eight. Sharma studied at Princeton University, where he earned his B.A. in public policy at the Woodrow Wilson School. He then won a Stegner Fellowship to the writing program at Stanford.He then attempted to become a screenwriter, but, disappointed with his fortunes, left to attend Harvard Law School.Akhil use to work as an Investment banker in New york before he turned as a full time writer. Currently he works as an assistant professor in the creative writing MFA program at Rutgers University-Newark. As the name suggests the book has strong and bold content not for weak-hearted people. The novel revolves around the protagonist Ram Karan who lives with his widowed daughter, Anita and granddaughter,Asha, in tiny an apartment of Delhi’s poor area. It portrays India in different light. It focuses on the crimes that takes place in a country and it’s take by the people who are involved in such crimes. The book takes you through extreme emotions one being of hatred towards the people who do crime and another of sympathy when they are stuck under their own plans. It describes the tension that existed at the time of Indira Gandhi assassination and how it must have effected the overall political scenario of India. It gives very detailed insight of Indian city life, its religious beliefs, and government functioning. He explain the city atmosphere so flawlessly that a person who has never been to India could imagine the busy street life of Delhi. The writer was compared with the likes of author Dostoevsky’s and Gogol. You will surely found their influence in his writings as Sharma confessed reading these writers work extensively. The book has a sarcastic approach which when taken in same light makes it an interesting read. The author won Folio Prize for fiction in 2015 for his second book, The family life. These beautiful lines mirror the thoughts of our today’s author. Ayn Rand was born as Alisa Zinov’yevna Rosenbaum on February 2, 1905, to a Russian Jewish bourgeois family living in Saint Petersburg. She was the eldest of the three daughters of Zinovy Zakharovich Rosenbaum and his wife, Anna Borisovna, largely non-observant Jews. Zinovy Rosenbaum was a successful pharmacist and businessman, eventually owning a pharmacy and the building in which it was located. The subsequent Russian Revolution disrupted her life. Her father’s business was confiscated and the family displaced. They fled to the Peninsula. They returned back after she graduated from high school at the age of sixteen. After the Revolution the universities were opened for women. Ayn was among the first set of women to study there, she enrolled in department for social pedagogy and majored in history. In the autumn of 1925, Rand was granted a visa to visit American relatives. When she arrived in New York City on February 19, 1926, she was so impressed with the skyline of Manhattan that she cried what she later called “tears of splendor”. Intent on staying in the United States to become a screenwriter, she lived for a few months with relatives in Chicago, one of whom owned a movie theater and allowed her to watch dozens of films for free. She then set out for California. She did many small odd jobs to pay her expenses. Her first book got published in year 1936 named We the Living.The book is in Soviet Russia and focuses on the struggle between the individual and the state. Her major release was The Fountainhead in year 1943. It is a romantic and philosophical novel which centers on an uncompromising young architect named Howard Roark and his struggle against what Rand described as “second-handers”—those who attempt to live through others, placing others above themselves. It changed the course of Rand’s career and later in year 1957 she published Atlas Shrugged which was considered Rand’s magnum opus. Rand described the theme of the novel as “the role of the mind in man’s existence—and, as a corollary, the demonstration of a new moral philosophy: the morality of rational self-interest. The plot involves a dystopian United States in which the most creative industrialists, scientists, and artists respond to a welfare state government by going on strike and retreating to a mountainous hideaway where they build an independent free economy. The novel’s hero and leader of the strike, John Galt, says that “he will stop the motor of the world ” and does so by withdrawing the minds of the individuals most contributing to the nation’s wealth and achievement. With this fictional strike, Rand intended to illustrate that without the efforts of the rational and productive, the economy would collapse and society would fall apart. The novel includes elements of romance, mystery, and science fiction, and it contains Rand’s most extensive statement of Objectivism in any of her works of fiction, a lengthy monologue delivered by Galt. After completing the novel, Rand fell into a severe depression. Atlas Shrugged was Rand’s last completed work of fiction; a turning point in her life, it marked the end of Rand’s career as a novelist and the beginning of her role as a popular philosopher. I have read both of her masterpieces The Fountainhead and Atlas Shrugged and indeed they are one of the best books I have read so far. They are best amalgamation of philosophy and fiction. If you haven’t read these two then now is the time to include them in your to read list. You can check more about her works on here.